The Ship Inn is proud to announce the return of classic cultural celebrations throughout the year. And be sure to visit us throughout the year to discover new events as we transition into Descendants Brewing Company at the Old Ship Inn! St. Patrick's Day Eve with Na'Bodach! Join us for a very special St. Patrick's Day Eve celebration as everyone's favorite Celtic rock band entertains us all night on the most special of Irish Holidays! Our bartenders will be mixing up Irish drink specials all weekend and our wonderful kitchen will be sharing their Irish best! We'll have no shortage of merriment as we celebrate the patron Saint of the Emerald Isle! Call early for reservations for this special night! 908-995-0188 We'll book up very fast for this great night! The Ship Inn is incredibly excited to welcome Gretchen Schmidhausler of Little Dog Brewing Company on Thursday March 21st from 7-9pm as we launch our newest event series here at the Ship. On January 3rd 1995 the Ship Inn became the birthplace of craft brewing in New Jersey and Gretchen was one of the early brewers here. To celebrate we're launching the "NJ Student Exchange Program!" Throughout the year (the plan right now is at least twice a month) we will be inviting breweries and brewers from all over NJ to join us and share the incredible brews they offer as part of a mini tap takeover. It's a chance to meet awesome brewers from all over our great state, taste their incredible offerings and celebrate NJ beer right where it all started 24 years ago! Keep an eye on our page to see who's coming out and when! And for all you Muggers out there...it's time to start filling out your NJ books! MLB Opening Day Celebration! With Strikeout Hunger NJ! The Ship Inn is incredibly excited and proud to partner with Strikeout Hunger NJ as we celebrate the beginning of the Major League Baseball season! Join us for ballpark specialties at our Hot Dog Bar with all the fixins...as well as Not Joe's, Cracker Jacks and beer in big plastic cups! And don't forget...a classic baseball movie on the big screen! Wear your favorite Jersey or cap and let's all celebrate the promise of a new season! And while you're here learn about and sign up to participate in Milford's newest charity - Strikeout Hunger NJ! If space is available on one of the local teams definitely be sure to sign up or volunteer for the tournament. Strikeout Hunger NJ is doing an amazing job collecting food for those in need! Let's literally collect a TON of food at this celebration and get the ball rolling! And trivia! Did we forget to mention trivia?!? Put your baseball thinking cap on for the event to win prizes! The Ship Inn is incredibly excited to celebrate Doris' 90th Birthday with the Incredible band - Laurie Vosberg & 519 South! Two amazing ladies will be coming together to rock & roll and boogie all night long. If you know Doris or even if you don't, come on out to wish her a very happy 90th birthday and enjoy the songs of an amazing band all night long!!! Join us the first weekend in April for the 2nd installment of the NJ “Student Exchange” Mini Tap Takeover! Each month we will invite at least 2 NJ breweries to join us and share some of their favorite brews where craft brewing in the state of NJ all started. We’ll see you soon and raise a pint for the great brewers working hard throughout our great state! March is Ireland month at the Ship Inn...and what better way to finish it off than by joining us Thursday March 28th at 7pm as we pair 5 incredible Irish whiskies with 5 incredible Irish dishes. We'll take a tour through Ireland and it's different regions for an event you don't want to miss! We will explore 3 incredible single malts: Green Spot, RedBreast 12 and RedBreast Lustau...as well as two really incredible blends - Power's Gold and Jameson Caskmates Stout Edition. The event will run from 7-10 and will be $59.95 all inclusive. Designated drivers or friends who would like to attend are welcome to join in the fun with the same menu or they may order off the regular menu if they like. The Ship Inn is incredibly excited to collaborate with our new friends at Alba Vineyard on Thursday April 11th from 7-10pm as the Sharko family presents a wonderful selection of their estate wines to pair with an artfully crafted 5 course meal. The evening will feature 2 whites, 2 reds and 2 dessert wines and seating will be very limited. The event will be $44.95 all inclusive. Designated drivers encouraged and welcome for a discounted price. Call soon for reservations as this event will fill up quickly! Outside of our regular events we have other fun ways to enjoy our old space. Every Tuesday Night we feature Open Mic Night and any day of the week we offer our guests the chance to explore beer culture and history with our Mug Club Explorer! 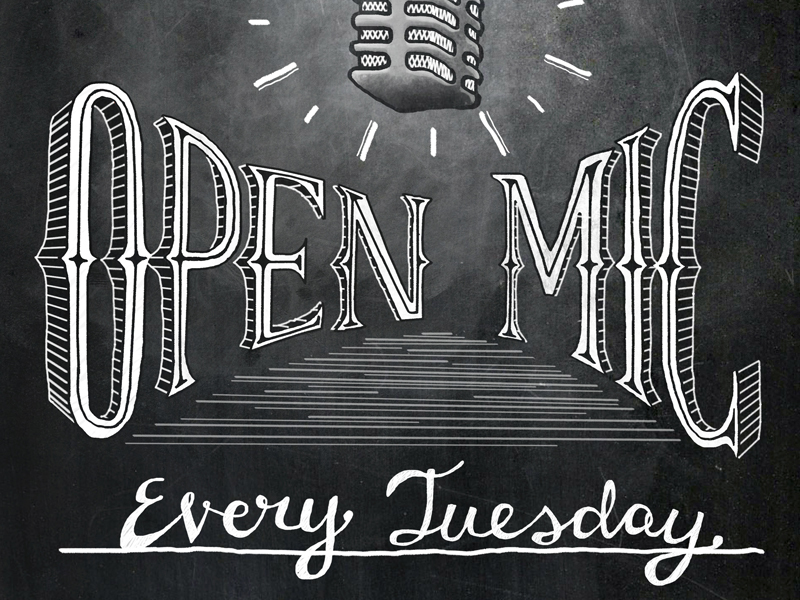 Join us every Tuesday night for open mic night hosted by Milfords very own Mike Wojik and Derrek Wismer. We've been joined by the most incredible array of musicians and you don't want to miss out! We’ll be taking a couple weeks off during Christmas and New Years but we’re looking forward to jamming again come January 8th! From our bonus section, the newest beer in our European Traveler lineup is Aecht Schlenkerla’s Rauchbier Marzen! All we’ll say is that you need to try this with the perfect meal combo…our Thick Sliced Pork Belly Appetizer and our Great Debate Burger with Pork Roll…or is it Taylor Ham…? And from the USA we’re giving our muggers a choice of two incredible beers from Schlafly Brewing Company from St. Loius Missouri. Double Bean Blonde is a blonde coffee and chocolate ale…and from Schlafly’s Ibex Series we have their Barrel Aged Barleywine. The Ship Inn is the first in New Jersey since prohibition to brew beer for consumption on premise. 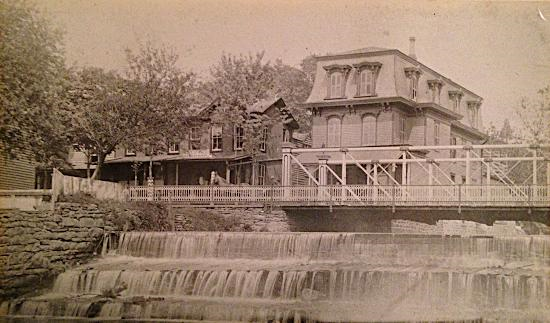 It provides a family-friendly English pub atmosphere in the scenic Delaware valley. Enjoy craft-brewed ales, ciders, and home-made, British-inspired foods with locally sourced ingredients. With original Victorian tin ceiling, exposed brick and beams, hatch-board tables and nautical fixtures, and an English-style brewery, The Ship Inn is a unique place to meet friends, host club gatherings, or to hold family events. We offer casual, family-friendly dining and provide simple, home-made British and American pub food from local sources. Follow the links here or at the bottom of the site if you are interested in booking an event or visiting other places of interest nearby. We hold the following specials on a weekly basis (except holidays). Happy Hour: Monday- Friday 4:00-6:30PM at the bar only. Monday Dinner: Pie Pie Pint Night $14.95: Enjoy an entree pie, a dessert pie & a pint of your favorite house ale! Tuesday Dinner: Burger and a Pint $14.95: Enjoy locally pastured, Swift Farms beef on a bun with toppings of your choice and a pint of house ale. Wednesday Dinner: Fish & Chips and a Pint $14.95. We are known for the best fish and chips around. Partake in our 2-piece fish and chips and a pint of house ale. Thursday Dinner: British Sampler and a Pint $14.95. A sampling of all our British savories, made in-house: Scotch Egg, cheese & onion pie, cornish pastie, sausage roll. Friday Dinner through Sunday: We serve chef specials for the weekend. Welcome to the Ship Inn! The Ship Inn is excited to announce the launch of our first new menu! We look forward to having our guests join us to try it and let us know what they think! We still have classic British favorites like Fish & Chips and Shepherds Pie, but we've also incorporated some great new dishes that pair well with our in-house brewed favorites! Hope to see you soon! The Ship Inn has been brewing since January 3rd of 1995. Each week we brew fine ales based on styles from the British Isles and beyond in our brick-and-wood clad Peter Austin brewing system. All of our ales made with Ringwood yeast, are unfiltered, and served off of their sediment so as to ensure conditioning of flavor. Cask-style ales such as our flagship Best Bitter are served at cellar temperature from the beer engine with natural carbonation. Our other ales are served slightly cooler with additional carbonation or nitrogen mix for the American palate. Hidden Nation Series: Eire Aontaithe - A silky smooth, dry and roasty, nitro oatmeal stout brewed in honor of a United Ireland. Dark Charger - Our classic English dark mild. A hint of malt sweetness and a light hop finish. Honey D Blonde - For the first time in the history of the Ship we will be brewing a true Belgian style ale. Brewed with a little honey from our friends at Tassot Apiary just up the hill this light, blonde, crisp ale will have soft honey notes and a clean finish. The perfect beer to welcome spring. Enjoy our beer to go! Deep Eddy Lemon and Sweet Tea Vodka mixed with our flagship Best Bitter! The literal translation given by Irish monks during the Middle ages to describe distilled alcohol in the Celtic world. In Irish Gaelic it was known as Uisce Beatha. In Scottish Gaelic, Uisge Beatha. We know it as Whiskey...and it pairs well with a craft brewed ale. Join us at the brewery to enjoy both. The Ship Inn/Descendants Brewing Company is excited to announce the launch of our new mug club-Traveler Edition...featuring 3 new ways to achieve beer exploration greatness! As with the old club the main objective is enjoying all of our in-house brewed beers. But each new club comes with it's own twist and perks. For the European and American clubs we will stock a very limited amount of bottles to enjoy for a single country or state. They will be available exclusively to our new Muggers. Once we run out it's on to the next tasty brew. For our NJ club we will feature guest taps from our fellow brewers in-state. The new clubs will start out with the bottle and NJ tap challenge...and as we introduce our new Descendants Ales we'll round out each club with our in-house brewed beers. Membership is $20 per club or $45 for all 3...and we'll order you a t-shirt. Once completed of course each Mugger will earn their very on Traveler Edition Mug to proudly hang up in the brewery! Cheers to beer exploration! As we all know, our great country consists of 50 great states! As we explore beer in our own country we will be sure to provide our Muggers with the best brews we can get our hands on for each respective state! To bring it even closer to home we're excited to explore incredible brews from our friends right here in the great state of New Jersey. For this club we will "trade" kegs with willing breweries to help spread the good word about NJ beer.